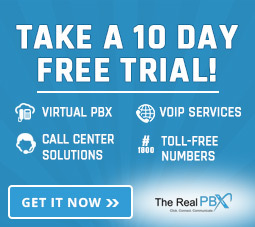 Thank you for your interest in becoming a contributor to The Real PBX blog! Founded back in 2004, The Real PBX offers cloud-hosted VoIP communication services and solutions for both businesses and individuals. Headquartered in Bethel Park, Pennsylvania, and owned by CloudSpace Technologies, LLC we offer advanced telecommunications services and solutions all over the world to a large variety of businesses. We welcome writers and experts who are familiar with the cloud communication and customer service to contribute and write articles on our website. Our target audience usually consists of experts and C-level professionals within the telecommunication, VoIP, and cloud communication industry along with small and mid-size business owners. Publish and disseminate your content to our vast audience base. Help connect with the industry and thought leaders. Exposure, branding, and backlinks to your website. Our target audience usually consists of professionals, thought leaders, and influencers belonging to the Cloud hosted unified communication and VoIP solutions industry and owners of smaller and mid-sized businesses looking interested in such technologies. We appreciate articles written on topics which can be associated with our audience for whom we provide industry specific news and trends. However, we do not accept and appreciate plagiarized content and obviously, topics which we’ve already covered and topics which are not relevant to our readers. Basically, a unique and original (Copyscape passed) content piece, which could be an article or infographic, is a welcome at The Real PBX. 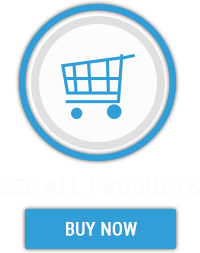 We are actively seeking contribution from industry experts and influencers, provided, what they want to share on our website, aligns with our target audience. We also accept article submissions from writers who want to share their articles on relevant topics and trends. We are looking for posts between 800 and 1000 words. However, we will not mind compromising on the word limit if the content gets through to us. We only accept 100% unique and original content that is both hasn’t been published elsewhere and copied. We do not accept content with excess typos, grammar mistakes, or poor formatting. Only relevant links in the content will approved. There must at least be one image with the blog. Images to be used in the blog must either be your own or the credit must be given to the owning website. After we get your article and all other requirements mentioned above, our editorial team shall go through it making sure that your content is not plagiarized, free of grammatical and factual errors. After that if the article is worth publishing, we shall do so as soon as possible and will also send you and e-mail notifying the status of your contributed content. Also, please note that we cannot respond to all queries and we will respond within 7 days if the post is of interest.